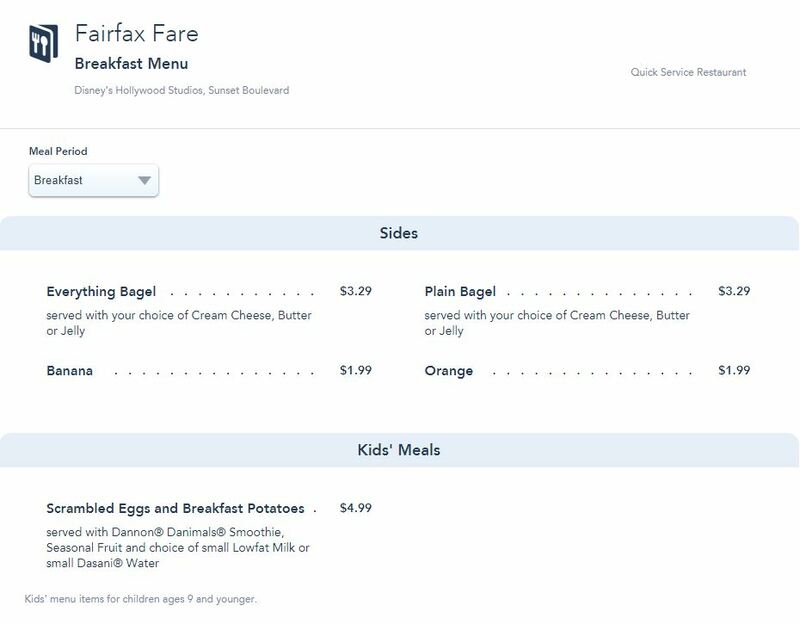 According to the official Walt Disney World website, Fairfax Fare will once again be selling breakfast from June 30th. That said, the posted menu is not nearly as robust as the trial run breakfast tried a couple of months ago. The menu, as currently posted, only includes the bare minimum and is quite a disappointment compared to the breakfast previously offered. With Woody’s Lunchbox also serving breakfast, and a more complete menu down Sunset Blvd at Trolley Car cafe, we hope that this isn’t the final menu. We’ll update this post should the menu change.